The core product is NOT a tangible product. You cannot touch it, because it is the benefit of the product that makes it valuable to you. The second level is the actual product (sometimes called the expected product). It is the the tangible, physical product. 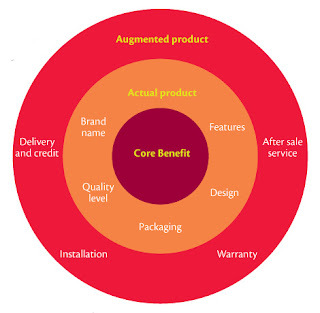 You are using it to deliver all the core product benefits. Which means that actual product is all that makes the difference. The quality, styling, brand name etc all comes into play in this level. The third level is the augmented product. It basically include all the support and services from the moment of purchase to when the product is abandoned by the consumer. After-sale services, refinements, warranty, financing etc are all included. What I have talked about in the previous blog articles was about defining the core product and preparing to define the actual and augmented products. In this article, I will talk about some techniques you can use to define the actual and augmented products for your idea. When I say you, I don’t mean you need to do it alone. 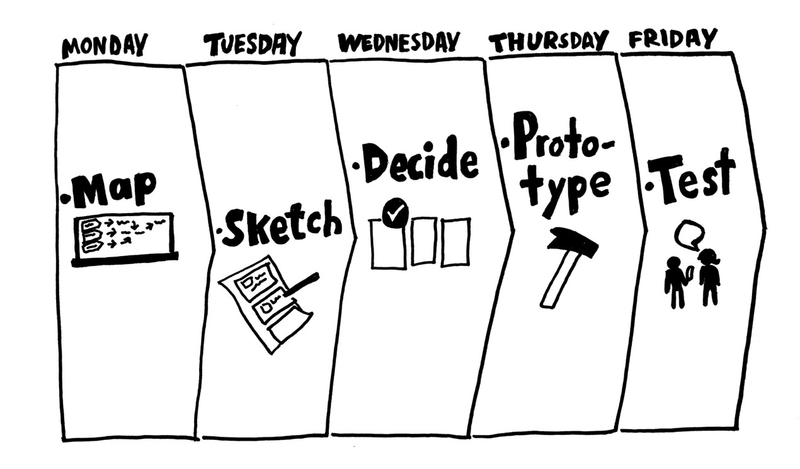 If you already have a team working together, then I strongly suggest the Google Design Sprint. If you do not have the time to read the book and watch all the videos they put on the site. I summarize it here. Fix a Week in Everybody’s Calendar: my experience is that as long as you have a minimum 3 days that will work, day 1 you work out what is that you want to get as candidate products; day 2 you come out how each candidate product interact with the target consumer and day 3 the team will prototype one or several candidate products to prepare for user testing; since user testing can be done on a separate time, you can see 3 days enough. 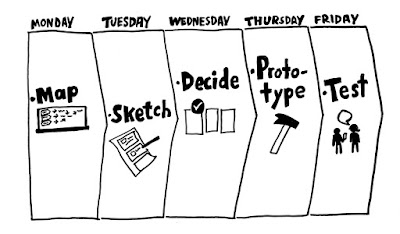 Nevertheless, the 3 Day Design Sprint usually apply only to software consumer products that can be prototyped fairly easily. If your candidate products are physical items it can take much longer to come out with a prototype. Test Candidate Products With Potential End Users: User testing is critical important and often wrongly done, we all come with our own opinion and it is hard to see the world from others perspective. So I’ll take about this in a separate article next week to tell you how I learnt to read the findings as what they are instead of what I think they should be. If you don’t have a team, or you prepare to keep it to yourself for the moment, That is perfectly fine. Thomas Edison, Benjamin Franklin, Leonardo Da Vinci, all of them created hundreds of great inventions working alone most of the time. Abstraction: you try to abstract back from a specific problem to a more general approach to highlight the real issue. Analogy: you try to find similar problem in other industries and area and then find if solution already exist. For example: Float glass was invented by Alistair Pilkington whilst washing the dishes when he observed that small droplets of oil produced a thin perfectly flat film when floating on water. Conceptual Combination: you try to combine two unrelated ideas and producing a new third one. It was named ‘bisociation’ by Arthur Koestler in his book The Act of Creation. Incubation: well this one, it is basically to say “leave it alone and the solution will come out”. Some problems take time to solve, One famous example comes from Dennis Gabor stopped in the middle of a tennis game saying “I have to write something down” – the something being the invention of holography. Let’s do a test together to see how you can approach your high-level idea using these mental processes. For the sake of proving anybody can create a product for the idea they have. I decide to take a completely random idea I just had when making my coffee. I thought, wouldn’t it be great if I do not need to every wash my cup. It will always be clean. And that will be every better when we go out for camping and have to use the same cup for the coffee, milk and water. First let’s see what does abstraction gives us. The real need here is not needing to wash the containers and it has to be working anyway suing this solution. So how do we do that, well, when the fillings do not stick to the surface of the container, we will never need to wash them. Then how do you make them not stick? If you know a bit about how everything managed to hold together, you should know that it is about friction. And why is there friction? Because the low surface tension, we learnt it when we were kids. So can we find some analogy in our life where the solution already exist. Most often, the solution already exist in nature and also in this case, I can think of one: lotus leaves. 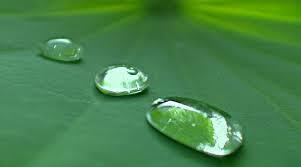 Have you ever wander why the lotus leaves do not seem to hold water when rain drops on them. Well, according to Dettre and Johnson (1984), it is because the high surface tension of water causes droplets to assume a nearly spherical shape, since a sphere has minimal surface area, and this shape therefore demands least solid-liquid surface energy. The lotus leaves have nanostructure coated with hydrophobic wax crystals that makes the surface rough and then whatever drops on it hard to stay. Then can we combine these two ideas, I mean, is there something on the lotus leaves that can be extracted and applied to the containers or other materials even. I guess so, but I am nowhere near a material scientist, so I stop here. Anyway, I had successfully come out with a candidate product: a chatting that has the superhydrophobic characteristics of a lotus leaf. There are so many other ways you can solve the same problem, for example, wet tissues designed to clean cups and other containers; self-washing cups that comes with washing powders and all you need to do is to add water. For any idea, there are many candidate products you can think of to realize it. Now we have finished the actual product design phase, let’s talk about augmented product. The augmented product design depends on what is the actual product we come out in the design phase. Say for example, for the coating, we need to think about how the consumers will be purchasing them, are they already applied to the containers, can they buy the coating and apply at home; are they given to certified companies and consumers hire them to “paint” their containers: if it is the wet tissue, where is it sold, how many pieces should there by in a bag; if it is the cup with washing powder, how do consumers get refill the powder, is it a subscription model, do they by from the supermarket? And what about warranty and after-sale services? Last but not least, how much is it going to be sold? You may ask: Why do I need to answer this question now? I will say, you need to answer it sooner or latter. And you’d better have an idea how much the market can take it before you start the actual manufacturing. Product fail not only because it is not designed well; not marketed well; it is most often failed because the target consumers cannot afford it. In the next article, I will talk about how you take your candidate products to potential consumers to test their reaction and how you interpret these findings to decide what to do and not to do for your specific product.